Description: The desk strip is a constant reminder of how italic letters and numerals are formed. 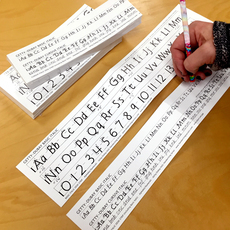 Desk Strips are a great teaching aide and lamination provides the ideal surface for tracing letters and practice. May be attached to the desk or table top. This Laminated Desk Strip is 18x6". 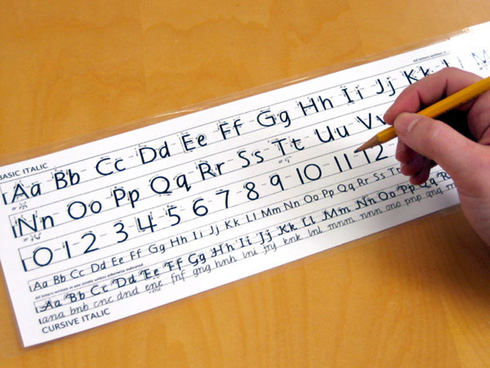 Contains both Basic Italic and Cursive Italic in a single laminated strip!